macOS® High Sierra introduced the Apple File System (APFS) to Mac® computers on September 25, 2017. The new file system replaced the existing HFS+ system to bring improvements to encryption, reliability, and performance. Under-the-hood improvements include faster read/write speed, cloning, snapshots, and faster directory sizing (by storing metadata regarding the whole directory versus individual files, like HFS+ did). APFS is the default file system for Apple macOS High Sierra+, iOS 10.3+, watchOS® 4+, and tvOS™ 10.2+. This means Apple is utilizing more of a universal file system to create a seamless yet rich integration for users to enjoy across all devices. You can find more details surrounding Apple file systems within the Apple developer library. I’ll provide an overview of how APFS works with older Mac computers, including encryption, external drives, Time Machine® backups, and other questions macOS users have been dying to get answers to. When users upgrade to macOS High Sierra, the upgrade process will automatically migrate your internal drive from HSF+ to APFS if your internal drive is an SSD or an all-flash drive. Although it’s important to mention that macOS High Sierra will not migrate and reformat a Fusion Drive to APFS. APFS-formatted drives are not recognized by OS X 10.11 Yosemite and earlier releases, so users will not be able to transfer files to an older Mac using an APFS drive. Additionally, future-proofing your older Mac or Fusion Drives will take manual work and some time. MacWorld authored an article surrounding whether or not users should upgrade their Fusion Drives to macOS High Sierra. First, APFS offers encryption at the file system level, not the disk level as was previously in HFS+. APFS also supports multi-key encryption, which allows for different keys used to encrypt different data on the hard drive. The way FileVault® encryption works hasn’t changed yet, but one day macOS could use different encryption passphrases for each user’s data and the system data. Use case: You receive parallelsisawesome.jpeg and want to make sure it’s protected. Your macOS with APFS will generate an encrypted image.parallelsisawesome.crypt, parallelsisawesome.jpeg.key1, parallelsisawesome.jpeg.key2, parallelsisawesome.jpeg.key3, and so on. Multi-key encryption ensures the integrity of user data. Even if a malicious user were to compromise the security of your device and gain access to parallelsisawesome.jpeg.key1, the malicious users still would not be able to decrypt your files because there are multiple keys attached to the encryption as a whole. All external drives—including USB drives and SD cards—will not be migrated to the new file system unless you do it manually. Fusion Drives that utilize both flash and traditional rotating mechanisms for the drive will not be automatically migrated. While APFS does not currently work on Fusion Drives, it’s safe to assume Apple will incorporate this in future updates. 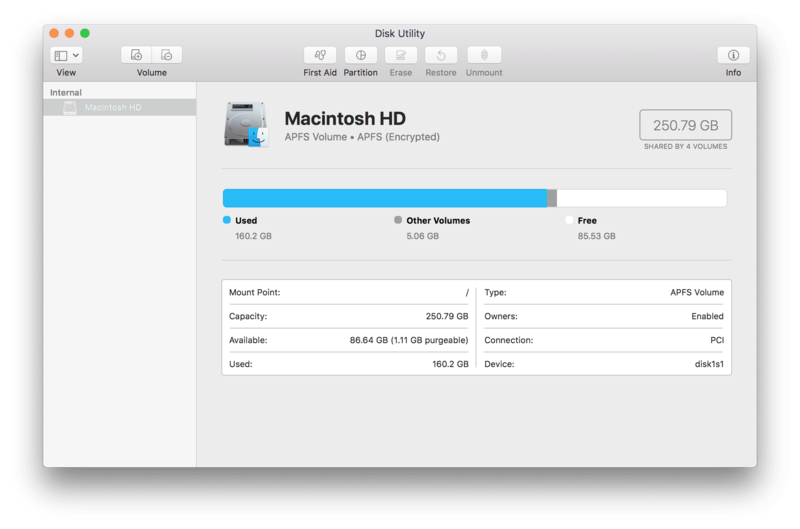 If you’re looking to completely move over all of your devices to APFS, you will have to manually choose to format an external drive as APFS with Disk Utility. There is an alternative to APFS and HSF+. FAT32 is the best file system to use for portable drives because it can be read by both Mac and Windows. If you need to transport files larger than 4 GB, you’ll need to take a closer look at your needs and determine what’s the best for you. Please note: any reformatting of a drive will erase the data. Period. We urge users to be aware of this prior to formatting a drive to a specific file type. With Apple Time Machine, you can back up your entire Mac. This cohesive backup system includes user’s system files, applications, music, photos, emails, and documents. When Time Machine is turned on, it will automatically back up your Mac and perform hourly, daily, and weekly backups to ensure you never lose data. Recently, there was an insightful how-to article published by MacWorld regarding Time Machine and APFS: Another Warning: Don’t Convert Your Time Machine Volume from HFS+ to APFS. This taught us to avoid switching from HFS+ to APFS because it will destroy your Time Machine backup. 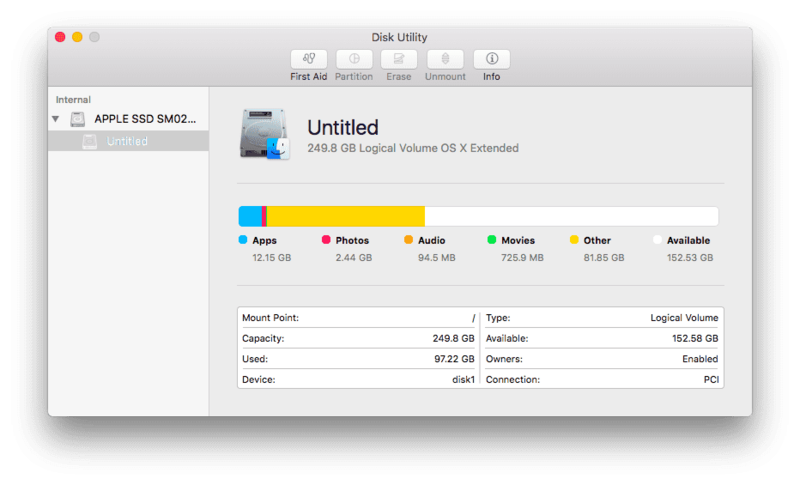 Our warning to users: While you can manually upgrade drives with Disk Utility in macOS to the new file system, do not upgrade Time Machine volumes. Patiently wait for Apple to provide full APFS support for Time Machine. Heck no! At least not for many, many years. HFS+ was the default Apple file system for over 25 years, which means there are tens of millions of HFS+ systems out there. Removing support for HFS+ would be beyond foolish for Apple due to the number of users it would affect—and also, existing Mac devices couldn’t upgrade to the latest macOS. The new Apple file system APFS is future-proof. Users mainly want to know how the change from HSF+ to APFS will affect their day-to-day needs. Answer: it will not make your existing devices obsolete; you’ll be able to work more quickly due to processing increase; and overall, we sincerely think this is a first step in a really wonderful direction for the future of macOS. The needs of Mac users are expanding, much like the ever-changing environment of Apple, and Parallels is here to help. Users can run Windows, Linux, or other popular OSes on Mac without rebooting with Parallels Desktop® for Mac, allowing you to unlock the potential of your Mac. Avoid the requirement of partitioning your hard drive with Boot Camp® and run Windows as if it were native to your macOS with Parallels Desktop. We’ve worked closely with both Apple and Microsoft for over 10 years to enable users to have the best of both worlds. You no longer need to make a choice. Try it free today—run Windows, Linux, and other OSes on your Mac with a 14-day trial of Parallels Desktop.